Headquartered on the north side of the Columbia River in the busy metropolis of Vancouver, WA we strive to bring the sunshine home with bright, creative solutions. Licensed to build in Washington and Oregon, we help keep the Pacific Northwest beautiful with custom home transformations. 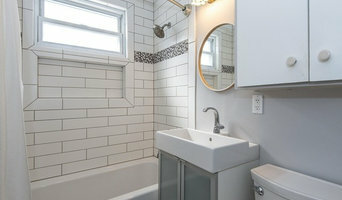 We believe in straight talk and honest solutions to your remodeling dreams. Our goal is to deliver quality construction that lasts at a fair price. Who wants to go through all the hustle and bustle for something that is just so, so, something that will need to be replaced in no time at all. Why not, do it once and do it right? Spend your time enjoying your home. And you know what, we’re good at this. We honestly love remodeling. No really…we truly love what we do and we love turning your ugly duckling home or room into the beautiful swans they can be. We show up on time, finish the job right, listen and understand your requests and leave your home cleaner than before. So if you get excited by solid construction, built in convenience and level edges then you’ve come to the right place. We’ve got the skill…we’ll have you loving your home for years to come. Beisa's Legacy Construction is dedicated to its customers by providing quality and professional work that is on schedule. We take pride in our mission - revolutionizing the construction industry by delivering an exceptional experience to our clients incomparable in the industry. We are committed to making the dreams of our clients and partners come true. Beisa's Legacy, more than building houses, we build memories. From design to glowing finish work, we offer so much more than a client is anticipating. This is our addiction, and rightly so, it's our profession. We come across terrific people who ask us for our thoughts for change, so our team of professionals listen, then we research, draft a plan, and then execute. We interview you just as you do us, because we want a relationship, not just another job. And we take it as seriously as you do your profession. If you think our job is easy, just wait till we offer you our "Item List" for all the decisions you will need to make! You will be glad you hired us because the owner is the project manager, and there is no finger pointing, just positive results leading to big smiles and an enhanced lifestyle, period. What separates us from others? We do not have a showroom, a bunch of employees, and serious overhead. We are lean so you can get more bang for your buck. We use the highest level subcontractors, same as the other big names in town. Literally. Let that resonate... What does HOUZZ do for us? They offer unlimited inspiration for YOUR home. Click on our "Idea Books" or start your own and share with us, and start the process. Look at some of the great and creative finds from around the world we have found and let us know what inspires you. We challenge you to do something awesome! Then contact us for a prompt meeting at your home, or proposed purchase. We do about 6 large jobs per year and focus on well planned, well designed excellence. Our team of craftsmen will surprise and delight you from rough-in to finished product. Port Town Construction began as the result of many years of labor, experimentation of better building techniques and commitment to quality. Our latest endeavors include energy efficient structures, kitchen, bathroom and full home remodels and top quality outdoor living spaces. We also offer architectural design, drafting and permitting services. We founded our company in 2014 with a cumulative experience level spanning decades building in both the Residential and Commercial Construction industry. The vision is to provide the best customer service possible, develop creative and energy efficient designs, and most of all enjoy the process of construction. We are a design and build construction company capable of designing and building the best structures available. Port Town Construction is located in beautiful Portland, Oregon nestled right under Mt. Tabor. We have a full carpentry shop where we can design and assemble any type of project or prepare for larger projects. 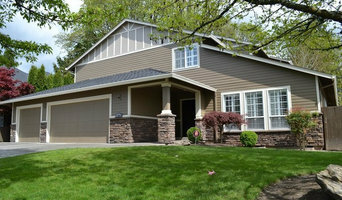 We serve all of the Portland Metro areas but have a strong client base on the East side. We are a Licensed, Bonded and Insured Residential General Contractor. CCB #202753. Real estate professionals since 1994, we revitalize and realize dreams...from design or concept development to quiet enjoyment. 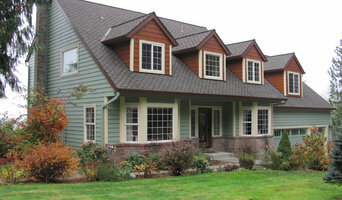 We design-build, renovate/remodel and improve properties all over the Portland Metro area and Columbia County. JK Paint & Contracting is a full service painting company specializing in residential and commercial interior and exterior painting. Our professional and friendly team is committed to providing our customers with a quality experience and finished project every time! Voegele Construction is a family business. Whether it’s a complete home remodel or a small bathroom renovation, Voegele Construction will provide you with not only design and building expertise but with care and thoroughness that sets them apart. Aaron Voegele is a third-generation carpenter. Growing up in Montana, from an early age Aaron was raised with a strong work ethic and sense of craftsmanship that can be seen prominently in his work. Since 2002, Aaron has learned every aspect of the job, from concrete work to finish carpentry, new construction and remodels. 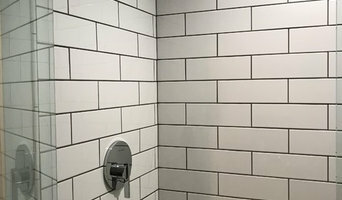 Aaron is now a general contractor that truly believes in making sure that every project is carried out with the highest standards of work and communication. Your vision is our passion. "We'll Treat Your House Like Our House" Our House Contracting, a residential construction company that takes pride in hard work. We aim for perfection in every job, no matter how big or small. We take the vision of our customer and complete the project better than they imagined. Let us help you with your build from design to finish. Ziebart Construction is a boutique remodeling firm specializing in beautiful design + remodel home improvement services at a mid-range price point. The family-owned company is committed to helping homeowners love their home by delivering an enjoyable remodeling experience. From the initial design to the installation process and into the warranty phase, we're here to help you design, build, and remodel your space. 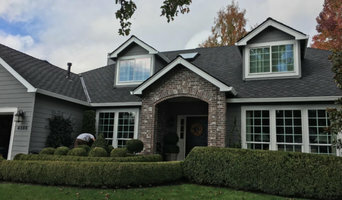 Our Portland and Salem remodeling teams adhere to our shared core values and will treat you and your home with absolute respect, clearly communicating and demonstrating integrity in all the work they do. No matter what vision you have for your remodel, we will work diligently to ensure your satisfaction. Contact us today to schedule your free in-home consultation and to learn why Pacific Northwest homeowners have been trusting the Ziebart name for 3 generations. Soul Construction Services, LLC. have been building, remodeling, renovating & repairing homes extensively from 95' to present. They are Older home specialist & Historic turn of the century restoration & renovation sages. Dramatic remodeling & custom additions are their niche' as well as being trim & siding pros. They tend to stray from convention & are very conscientious about treading respectfully on the environment not adding to the increasing ecological footprint. Their aim is always top notch craftsmanship with a very down to earth tactile feel & approach. Courtesy, consideration & sharp attention to detail along with providing their clients as they've anticipated the finished product to be is their standard, period. They are also experts in dry rot repairs, construction defect service, window replacement and are in full compliance with all of the current exterior envelope codes & requirements. Vitto has always had a passion for construction. He has been in the construction business for over 10 years and he continues to have a passion and delight in this industry. It is this passion that led him to open up his own business Vitan Construction LLC in December of 2013. Vitto worked for multiple contractors and in different trades such as framing, roofing and siding. Siding is where he found his true passion which is why Vitan Construction LLC specializes in siding, though we are able to do multiple trades because of Vitto's abundance of expertise. Vitto felt very comfortable about starting his own business. He takes great pride in his work and he personally guarantees excellent results. Vitan Construction LLC has been growing and excelling at a rapid rate, we are all really excited about the future of Vitan Construction LLC. Vitto not only excels as the business owner of Vitan Construction LLC. He also works with Fountain of Life Teens at his local church. Vitto is has a great personality and is really easy to work with. He has a passion for everything that he does and is really detailed-oriented and makes sure that everything gets done in perfection. We handle all kinds of home repairs, big and small. Anything from drywall repair, flooring, general carpentry, decks and pergolas, house painting, kitchen and bath renovations, even small to medium remodel projects… just about anything that needs fixing on your residential space, we can do it.